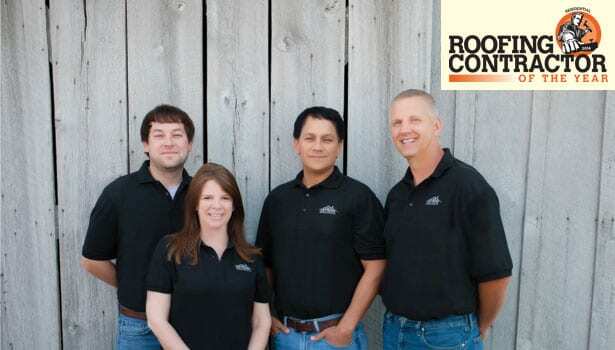 Sterling, Va.-based company, DryHome Roofing & Siding was recently honored as Residential Roofing Contractor of the Year by Roofing Contractor magazine. 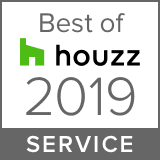 The prestigious title is bestowed once a year on the contractor that embodies specific characteristics such as superior customer service, community involvement, and a rewarding work atmosphere. Focusing on the customer’s needs for the past twenty-five years has proven to be a winning strategy. DryHome has earned a reputation as a business that not only excels at customer service, but is also a good neighbor that helps the community. The company sponsors its own Free Roof for the Holidays program, which donates a roof to a Virginia homeowner or nonprofit organization in need. Gotschi also spearheads the Loudoun Lyme 5K Run, which has raised more than $140,000 to combat Lyme disease. Constant communication, neat and orderly job sites, and an emphasis on top-quality workmanship helps DryHome ensure customer satisfaction. The company solicits customer reviews after every job and takes the reviews very seriously. Keeping its workforce happy is also important to DryHome. With competitive benefits, continuing education, training opportunities and a focus on safety, the company also tries to give employees a schedule that allows for better work/life balance. The positive work environment keeps employee retention rates high, but it’s the company’s efforts to help the community that really make the DryHome team rally. The company asks its customers to nominate deserving homeowners and nonprofit organizations for its annual Free Roof for the Holidays program. They evaluate the nominees as a group and happily pitch in to provide the chosen recipient with a free new roof, getting satisfaction from helping others during the holidays. Another way the company helps the community is by hosting the Loudoun Lyme 5K Run. Lyme disease is very common in Virginia, and Loudoun County has the third most cases in the nation; however, many people in the area still don’t know very much about it. When Gotschi’s wife, Reagan, struggled for four years and visited 10 doctors who all missed the signs that she was suffering from Lyme disease, they realized they needed to build awareness. “Somehow a fun run clicked in my head,” said Gotschi. “At that time I had never even walked in a 5K, let alone run in one, and now I was going to put one together.” The major beneficiary is National Capital Lyme Disease Association, an organization dedicated to preventing the disease and finding a cure.